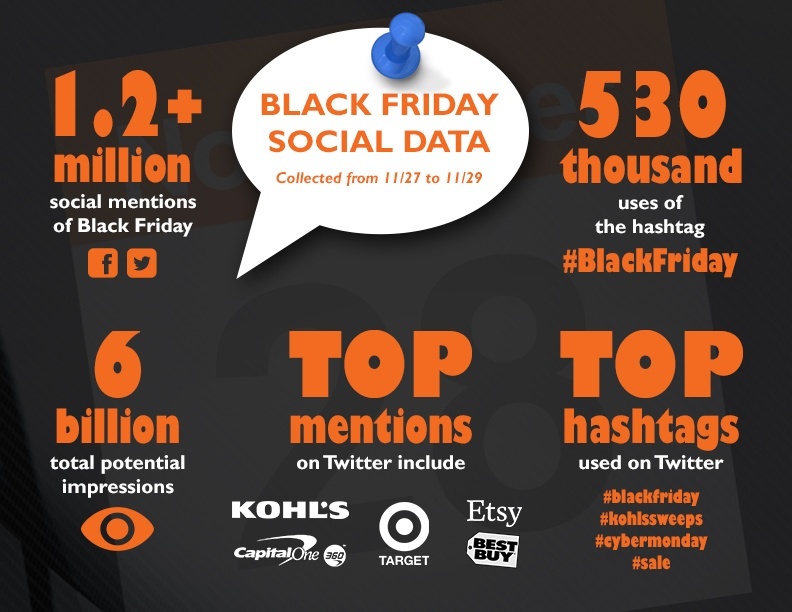 Black Friday and Cyber Monday: What Was the Social Buzz All About? The Black Friday and Cyber Monday madness is (finally) over. With retailers seeing less than desired results from the holiday season’s kick off, social media became more important than ever before with social conversations at an all-time high. Because many stores open their doors on Thursday for Black Friday deals, we collected data from Thursday through Saturday to ensure we captured the majority of the social buzz for that day (across all time zones). Similar to Black Friday, we started monitoring for Cyber Monday the day before with many deals available before midnight. 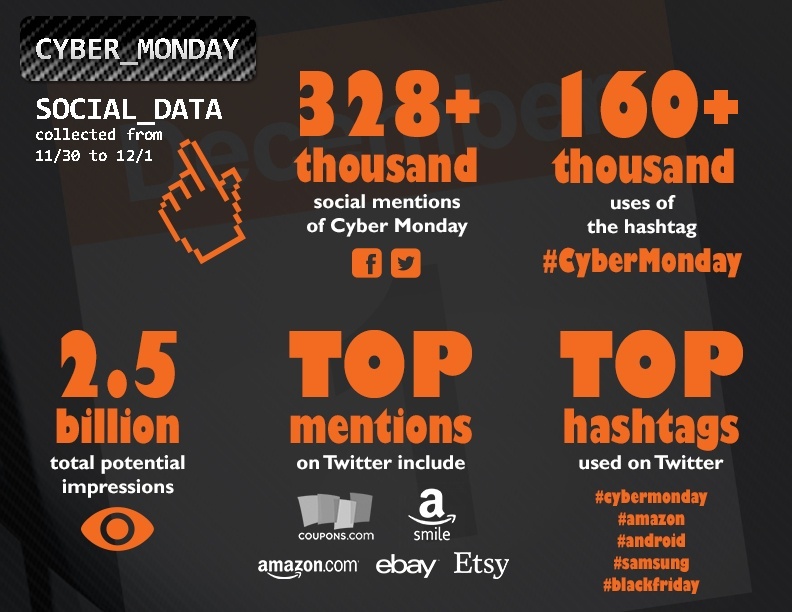 It’s safe to say that both Black Friday and Cyber Monday made a huge impact in social media. In the span of five days, combined total impressions equaled 8.5 billion and there were over 1.5 social mentions. A similarity we found was that Etsy was one of the most mentioned brands on both days. Additionally, Forbes, the San Francisco Giants, Microsoft and the New York Times were highly influential on both Black Friday and Cyber Monday. An interesting observation: #BlackFriday was used frequently on both of these shopping days- not just Black Friday. One of the biggest differences we saw: The hashtags generated on Cyber Monday were mainly focused on tech products, while Black Friday hashtags were primarily focused on sales related words, which could imply that there were better tech sales on Cyber Monday. What was your experience on Black Friday and Cyber Monday? What were the best deals you found? Was it worth the wait?